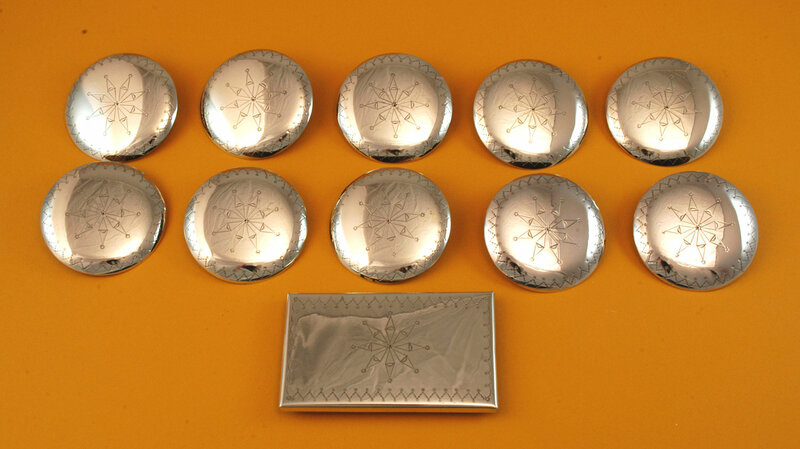 This set consists of TEN 2 1/2" stamped conchos and matching belt buckle. THIS SET IS UNMOUNTED. Additional 2 1/2" conchos may be ordered at the same time for making a larger belt. See separate product listing for Extra Conchos. Available in Germansilver only.